AUGUSTA, Maine — Gov. Paul LePage’s goal of making it easier for minors to work will continue in January when the Department of Labor proposes streamlining the work permit process despite previous failed attempts to do so. Child labor in Maine has been regulated by state government since the mid-1800s and a key component of those regulations requires school superintendents to issue work permits for school-age children offered a job. Now the Department of Labor has proposed being the first contact for work permits during the summer months. Currently, applications are completed at a person’s local superintendent’s office. The initiative falls short of LePage’s stated desire to lower the legal working age to 12, but reprises previous unsuccessful attempts to make it easier for Mainers younger than 16 to earn a paycheck. Based on his own experience as a child, LePage argues allowing kids to work at younger ages could instill a healthy work ethic and lead to other successes later in life. Since taking office, the LePage administration has proposed, unsuccessfully, bills to create a children’s “training wage” of $5.25 per hour and other measures to reduce barriers to children working, including an effort to alter the work permit process last year. Maine first passed a child labor law in 1847, during the Industrial Revolution, according to the Department of Labor’s website. Truancy laws passed in 1887 required children younger than 15 to attend at least 16 weeks of school per year to work in manufacturing and mechanical workplaces. At the turn of the century, Maine began inspecting businesses for sanitation and monitoring the number of hours worked by minors to ensure working conditions were safe for children. In 1915, the Legislature enacted a law that barred children under age 14 from working during hours that public schools were in session and required working papers for children ages 14 to 16. In the 1990s and 2000s, the laws regarding child labor were strengthened by listing occupations that were prohibited for young workers because they involved machinery or dangerous conditions. Under current law, children younger than 16 must obtain a work permit before beginning a job, even if it is for their parents and even if it is during the summer. Applicants must be enrolled in school, not habitually truant or under suspension and passing a majority of their courses. Employers are required to keep work permits for employees under age 16 on file. A minor must be offered a job before applying for a work permit from the superintendent of his or her local public school. Parental permission is also required. Age 16 is the lower limit for most jobs in hotels, manufacturing, bakeries, laundries, dry cleaners, garages, amusements and theaters. After a superintendent issues a work permit, the paperwork goes to the Department of Labor, which reviews it to ensure the applicant is of legal age for the job and that the job is not hazardous. The minor is not allowed to work until the permit is verified by the department, which could take up to a week. LD 2556, An Act to Streamline the Work Permitting Process for Minors and to Conform Allowable Places That Minors May Work to Federal Law, would allow teens to bypass their school superintendent during the summer months and permit them to apply directly to the Department of Labor Standards online. The law also would allow minors to work in bowling alleys and movie theaters, which is allowed under federal law but not state law. A total of 47 other states allow minors to work in movie theaters and 44 other states allow minors to work in bowling alleys. According to information from the Department of Labor, the governor’s office, superintendents and the Bureau of Labor Standards receive several complaints a week in early summer about delays in the processing of permits. LePage’s office did not respond to requests for comment, but the Department of Labor said LD 2556 is part of a larger effort by the governor’s administration to help younger people get to work quicker. There is no measure pending that would lower the legal working age in Maine. According to Rabinowitz, the state issued about 2,700 work permits for minors in 2011 and 2,800 last year. The department was on track to match last year’s number of permits as of this week, according to data provided by the department. Organizations representing Maine businesses favor the changes and said minors comprise an important labor pool for many industries. Curtis Picard, executive director of the Maine Retailers Association, said the organization’s members were dismayed that a work permit bill failed during the last legislative session. 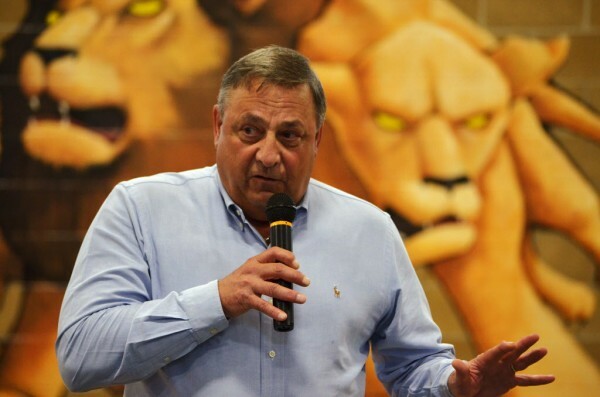 In 2011, LePage sharply criticized the processing time for work permits. The Maine School Management Association testified against a similar bill, LD 431, earlier this year because, they said, local schools best know a student’s status, including whether he or she should be in summer school. The bill ultimately failed. Rabinowitz said the department has worked through those concerns with a provision in the proposal that requires verification of a student’s status in school before a permit is issued.